I know there are times you retire to a serene environment, you alone with your thoughts. You give in to deep introspection as to why you failed the course/examination. Yes, you did all you could to ensure that you were fully set for the examination but it all seemed as if all your efforts just went down the drain. As a matter-of-fact, not all students fail because they didn't prepare for the examination. 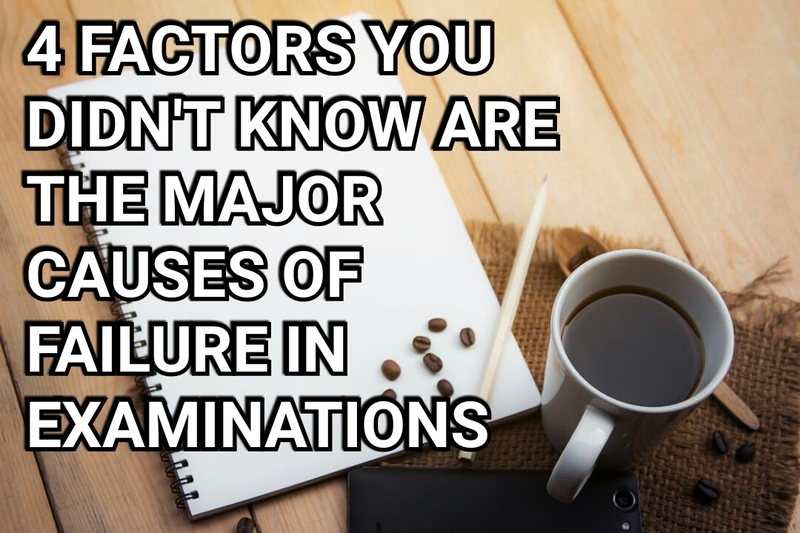 There are students who fail for reasons unknown to them, and that's why this article has been compiled to finally reveal the ' hidden factors you didn't know are the major causes of failure in examinations'. I'll implore you to read on! It's most likely you would have noticed some geeks among your folks who take ' struggling students' tutorials on a particular course but still flop during examination. With this experience becoming rampant among college students, we've made it a point of duty to unmask the mystery behind these failures. One thing for sure you should always have at the back of your mind as a student going for an exam is this- THE ONE TO DO JUSTICE TO YOUR ANSWER BOOKLET DOESN'T KNOW WHO YOU ARE NEITHER DOES HE/SHE KNOW HOW YOU WRITE. With this settled, the way you write is the way you're going to be marked. No matter how hard you prepare or how vast you may be in that course, you're judged by what you write. So, in a case whereby you know the exact thing to write and the right way to pen it down but your handwriting isn't legible enough, you're only giving your lecturer the stress of straining his ' organ of sight', and considering the tons of booklets he needs to mark and the ever-limited time, you leave him with no choice than to mark whatever he's able to pick. I'd bet you know marking can be so frustrating when you can barely read what has been written. HOW do you present your answers or better still, how does your lecturer expect you to table your answers? These are some of the questions you need to ask yourself before zooming off to your answer booklet. Every course has its own VOCABULARY, its own terminologies. So when next you want to tackle a question, ensure that you make use of the terminologies related to that question/course. Yes, you may have a superb understanding of the question and your presentation might be good but if you fail to use the right vocabulary or you exclude the necessary terminologies from your presentation, then your answer is good but not good ENOUGH. WHY? 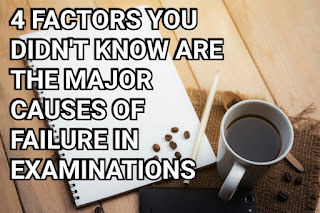 It's simply because those terminologies are one of the crucial factors lecturers look out for in your answer/presentation. These terminologies are like the bolts and nuts of a machine. If you fail to put the necessary bolts and nuts in a machine, then the whole body fall apart. It's the same with your answer/presentation. You fail to incorporate the necessary terminologies in your presentation, then your presentation lack coherence and it falls apart. IT'S simple, you neglect instructions, you miss the way. Lecturers find it irritating and appalling when you fail to adhere to the instructions given in the question paper. It's more or less belittling or questioning their authority and you sure know that no one likes to be questioned in his domain( even you right?). Don't be too much in a hurry to devour the questions that you forget to read the instructions. Yes your complain may be ' I'm on the clock you know'. But how do you go about it when you don't know how the one who owns the questions demands you answer it? You may find this shocking. Yes, weariness to pen down all you know is one serious cause of failure which seems hidden to most students. There's this believe that it's a bad impression when you pour out all you know about the subject matter in your answer booklet. Says who? It's high time you got rid of that erroneous belief. Come to think of it, if that is true, which obviously isn't, then what is the purpose of examination? ( I'll like to see your answer in the comment box). Your lecturers will only do justice to what you write down not what you know because they don't know what you know about the question except what you write down for them to read. See examination in this picture; examination is a point of translocation of positions, from STUDENT to teacher and vice versa. The moment you get your question sheet, your lecturer has relinquished his position to you and you now become the teacher. So, what you're expected to do is to teach all you know about the question(s) asked which is in form of writing your answers. You're expected to convince your student( in this case your teacher) beyond all reasonable doubt that you know it. Therefore, your lecturer assumes everything you've written is all you know about the course and you're judged based on that. So get rid of that erroneous belief and give it your best shot. If you see this as needful, do not hesitate to share it with others. Simple but great tips for anyone taking exams! Thanks for reading and I hope this gets through to students.